Turkish Prime Minister Binali Yildirim has announced that Turkey's combat operations in Syria have ended. That's despite both Daesh and Kurdish militants continuing to be operational. Political analyst Aydin Sezer told Sputnik that the "success" is a sham, designed to bolster nationalist domestic support for the president. It will live on as one of the most starkly humiliating turning points of former US President George W. Bush's time in office. Striding triumphantly onto an aircraft carrier in May 2003, the president announced the end of major operations in the Iraq war. "Mission Accomplished!" insisted the giant banner fluttering overhead. In the ensuing years, the hollowness of such bravado became all too clear: even more US service personnel and Iraqi civilians lost their lives after Bush's infamous speech, and many security analysts directly point the US mission in Iraq as spawning the scourge of Daesh. 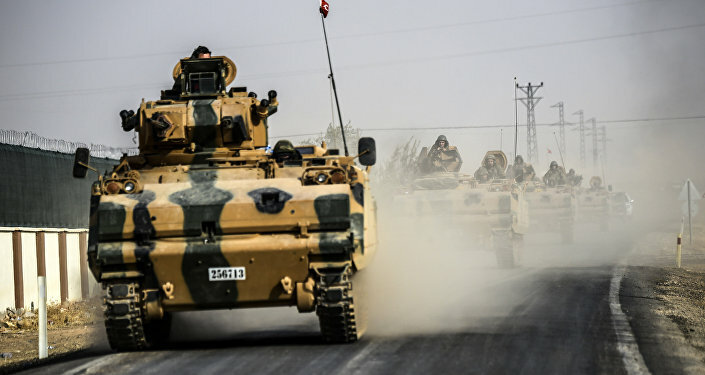 It makes the announcement by Turkish Prime Minister Binali Yildirim on Wednesday, March 29, that Turkey's military operation in northern Syria has been successful, all the more striking. Codenamed Euphrates Shield, the operation was launched in August 2016, aimed at driving Daesh away form the Turkish Syrian border, in addition to combating Kurshi PKK militants. Ankara has long feared that Syrian Kurds could try to establish self-ruling territories similar to Iraq's autonomous Kurdish region. 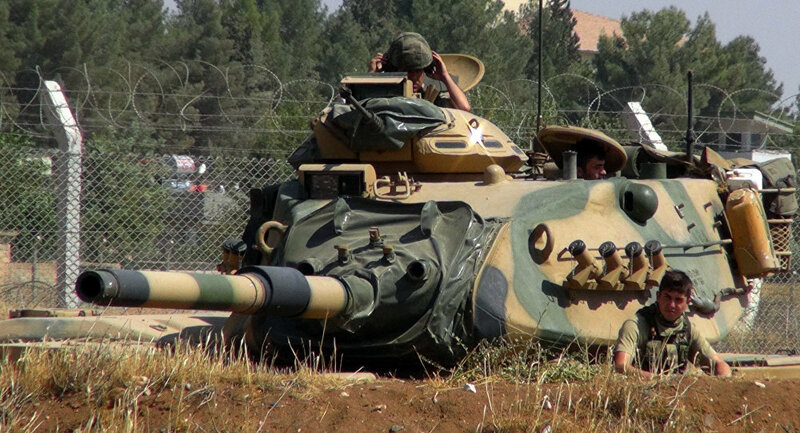 Under the operation, Turkey-backed forces captured several towns in the region including Jarabulus, Al-Rai, Dabiq and Al-Bab. The Turkish government has also been angered by the willingness of the US to back Kurdish fighters in Syria. Turkish troops are still stationed in the secured regions and along the border. Euphrates Shield has been widely criticized both by the Syrian Kurds and Damascus, who have been accusing Ankara of violating Syria's territorial integrity. Aydin Sezer is the head of the Ankara-based think tank, The Turkey and Russia Centre of Studies. Sputnik asked him what the Turkish military has done to achieve those aims. "Actually in one word, nothing… I think this is more related with domestic policies, the internal politics of Turkey, because the government is trying to overcome the public pressure and criticism of their Syrian policy, especially before the referendum of April 16… to enable the government to state that the campaign has stopped," Mr. Sezer said. Turkish President Recep Tayyip Erdogan is seeking expansive new powers, which would create an executive presidency and abolish the role of prime minister. For now, current prime minister Mr. Yildirim continues to be influential, and he has acknowledged that while Operation Euphrates may be over, Turkey could be pulled back to operate militarily in Syria, albeit under a different name. "It means that Turkey is just changing the name of their campaign." Mr. Sezer said. "Nobody knows, including the top diplomat in Turkey: nobody know what will happen. For the time being Turkey's priority is the referendum." 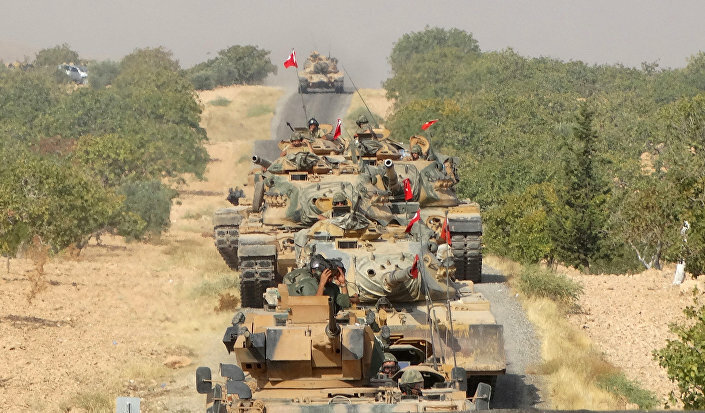 Currently, at the end of Operation Euphrates, Turkey now controls some 2,000 miles square km (1,242 miles) of northern Syria, no longer sharing any borders with Daesh-controlled areas.